By default, Social Login applications are created on the rpxnow.com domain (for example, customer.rpxnow.com). 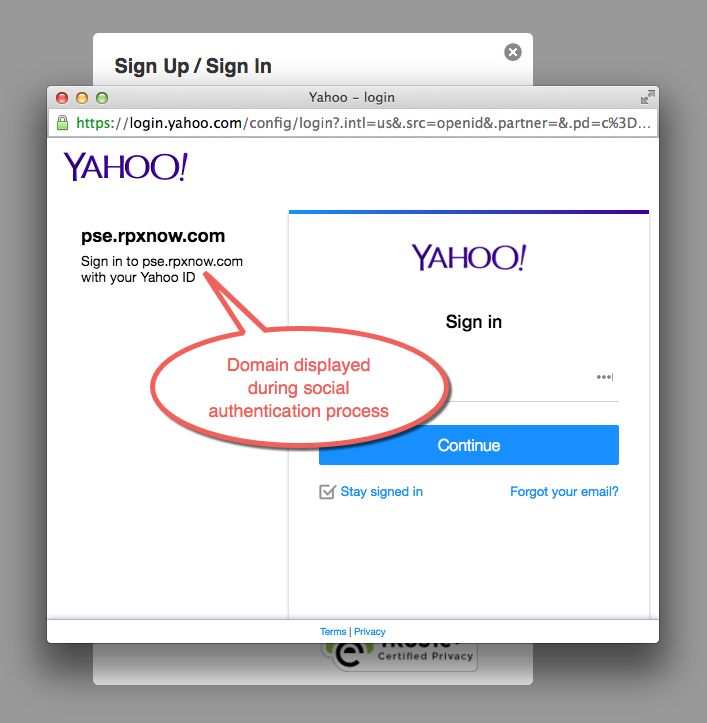 This domain may be displayed briefly to users during the social authentication process. For production Social Login applications, Akamai can configure the domain to use a custom subdomain that you host (for example, login.customer.com). Akamai will work with you to set this up using the following process. The subdomain must not be used for any other purpose, and you must be able to modify your DNS. Customer chooses a subdomain and sends it to Akamai. Akamai sends back the Akamai endpoint for the CNAME entry. Customer uses this endpoint to set a CNAME entry in their DNS. Akamai completes setup and procures an SSL certificate. Akamai provisions the production application with the custom subdomain.